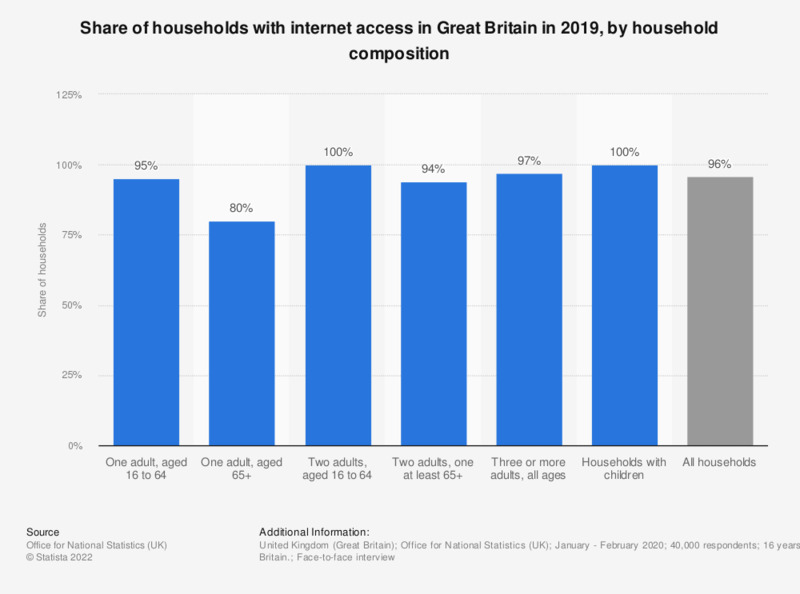 This statistic shows internet penetration in Great Britain in 2018, by household composition. Of households with one adult aged 16 to 64, 91 percent had internet. Internet penetration was highest among households with two adults aged 16 to 64 and households with children.